We had a wonderful time in Norway! 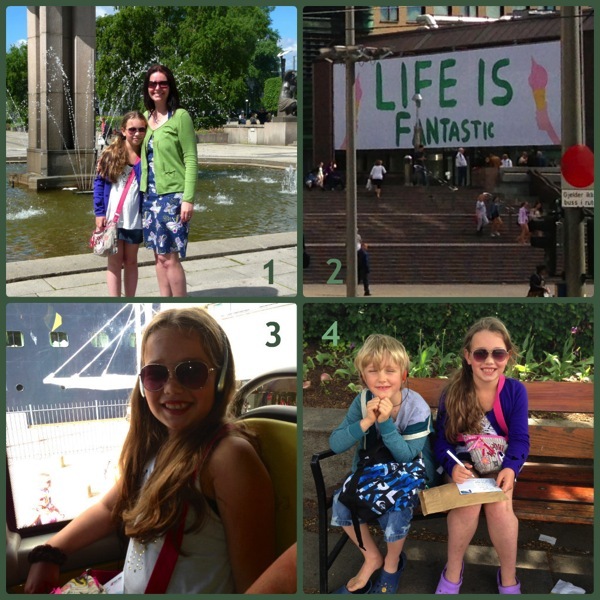 Here are some highlights, to give you a flavour of our trip. And I’ve added a few more detailed tips for anyone who might be thinking of actually taking their children on a Norwegian cruise – it’s great value if you live in the UK. 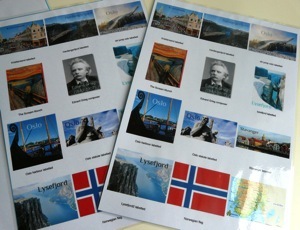 I’ll write today about our time in Oslo and Kristiansand – I’ll save Stavanger, Hardangerfjord and Ulvik for next time. I’d also shared with the children our cruise itinerary so they knew which days they were free to splash around in the ship’s pool all day and which days they’d have the chance to find their fun on dry land. Expectation management always helps! Our first port was Oslo. Norway is a very (oil) rich nation and this is reflected in its clean, modern capital. The city is small enough to see most of on a ninety minute hop-on/hop-off bus tour. 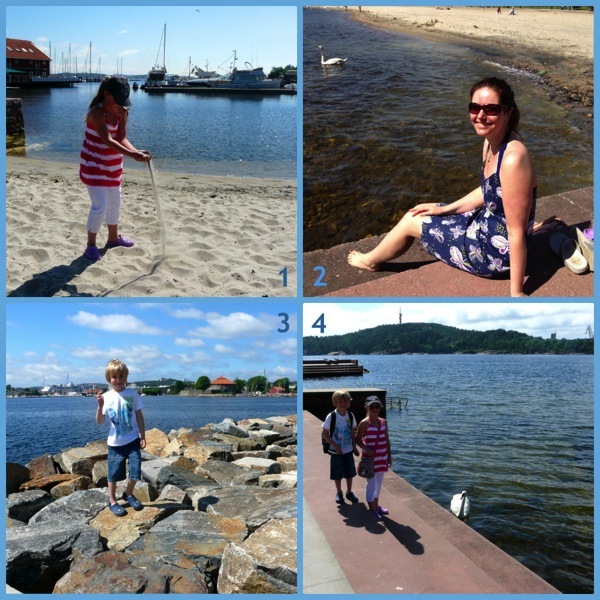 Here are my recommendations for how best to spend a day in Oslo with children. Start out by buying a multi-museum ticket from the tourist office right next to the ship, then hop on a bus to begin your tour. Stop at any museums that take your fancy – definitely try the Viking Ship Museum, the Norwegian Folk Museum, and the Kon-Tiki Museum (all fairly close to each other in Oslo Old Town). 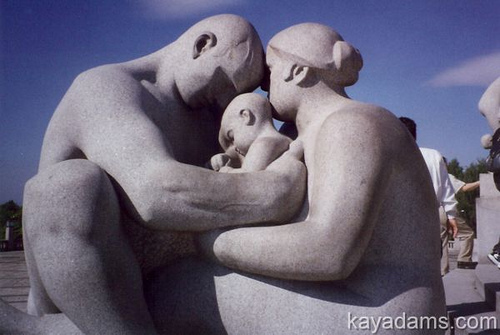 If you have time, stop off and wander through the Vigeland Sculpture Park, the world’s largest sculpture park made by a single artist. Alternatively (or as well, if your kids have more touring stamina than mine), get off the bus near the Holmelkollen Ski Jump – the world’s most modern ski jump. The site also houses a ski museum with a ski simulator. We saw Holmelkollen from afar – it’s an impressive structure that makes for a super-easy to spot landmark. If we ever go back to Oslo we’ll definitely make the trip to see it up close. * A multi-museum ticket is the best value if you plan to visit more than one museum. I recommend buying one so you can wander in and out of each museum depending on everyone’s interest level and don’t feel obliged to waste time somewhere just because you’ve paid £15 to get in. * Don’t buy a bus ticket from the first ticket-seller you see – the route varies slightly between the different bus companies. Check the map before handing over your credit card. * Take your own headphones (if you have them) to listen to the tour commentary. Cheap headphones are provided, but these aren’t always a great fit for kids. 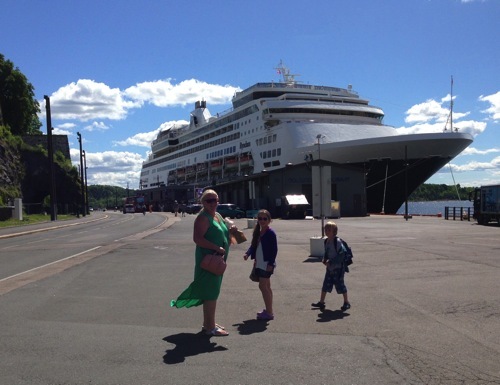 The next morning we woke up in Kristiansand (I love that about cruising). This beautiful city was our family’s favourite port. We picked up a map as we got off the ship and walked along the coastline parallel with Østre Strandgate. This is a delightful water’s edge stroll, with green lawns, fountains and little sandy beaches strewn with the most intricately decorated sandcastles we’d ever seen. Locals sunbathed and picnicked alongside us. 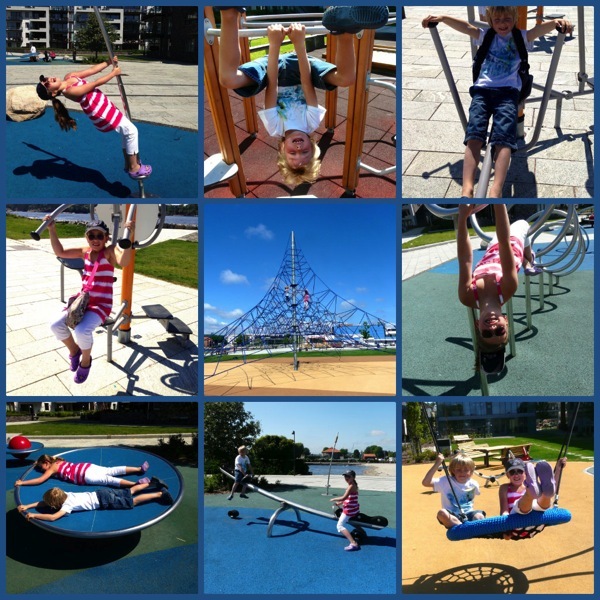 The whole bay is strewn with play equipment, from toddler swings to adult outdoor gym machines, and everything in between. My 8 and 9 year olds were in heaven! We saw lots of ducks, ducklings, swans and cygnets, which sparked a discussion about how we don’t usually find these birds in the sea because they prefer fresh water. I’ll share what we later discovered is special about fjords that makes this possible when I talk about our time in Hardangerfjord, next time. At the end of the stretch of promenade is a headland (with the biggest rope climbing frame we’ve ever seen). Turn around here and walk back along the shoreline until you get to Markens gate, and follow Markens gate up to Dronningens gate. 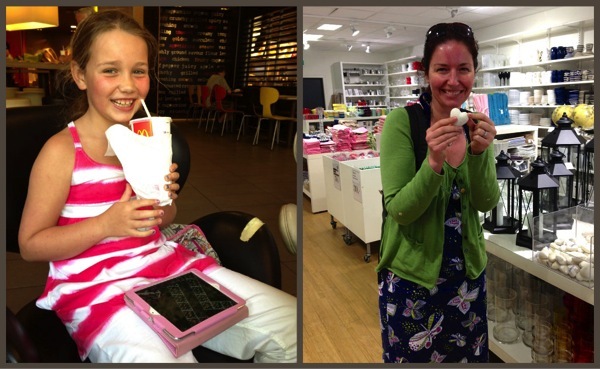 Revitalise with free wifi at McDonalds* and then make your way along Dronningens gate, popping into as many pretty beach-themed home decor shops as your kids can tolerate before you head back to the pool on the ship. Our next stop on the cruise, Stavanger, was very different from Kristiansand and Oslo, and our final port, a tiny town at the top of the world’s third largest fjord, was one of the most beautiful places we’ve ever seen. I’ll be back to tell you about these soon. And if you’re considering a Norwegian cruise but aren’t sure how you’ll entertain the kids in port – go for it. I’m glad we did! I really do feel you could have invited me and packed me up tight in your suitcase. No one would have known and I could have enjoyed a lovely relaxing cruise too!! Love the McDonald’s dilemma. You made the right choice. Any discerning blogging mum would have done the same. I did have a sneaky giggle at you going on a cruise all the way to Norway, only to end up in McDonalds. Surely popping to your local one would have been a little less expensive! Now THAT would have made for an even more entertaining and educational week, Claire! Next time, I promise. Lucinda, you’ve certainly caught the sun on this trip! Lucky you. There hasn’t been a lot of sun here in the past week or so, so you’ve timed your trip perfectly! I like all your travel tips. They’re very handy to know. Looks like you and the children had a really wonderful time. I would also be the homeschool Mom stopping in the McDonald’s. Do McDonald’s over there have playscapes? Ours have the best ones often, so it’s a must for stopping and letting the kids run the energy out. Oh yes we love playscapes too (love that name – we call them soft plays, not nearly so dramatic-sounding). There wasn’t one at Kristiansand McDonalds but after all that outdoor play equipment they were both unusually able to sit and relax a while. I enjoyed reading about your trip and looking at your photos. We are so far away from Europe. Not much chance of us visiting Norway but that’s okay. I shared your trip! Did you get a chance to use your Norwegian? Thank you, Sue! I don’t think I said much more than “takk” (thank you – I did say that a lot though! ), but I loved being familiar with the alphabet and many words so I could have a go at reading signs and leaflets. Mainly, it was a perfect incentive to add the basics of another language to my hungry brain – I have a feeling you will relate to that! I love Australia (every time I go on holiday there I want to emigrate. I’ve had to stop going!) and I’ve very much enjoyed reading your posts about where you live and places you visit.